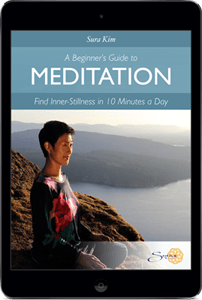 Have you ever thought of what it’d be like to write and create your own meditations? When I started delving deeper into teaching meditation, I felt called to work with the cancer community. For some time I had been teaching at yoga studios in Los Angeles. It was a good experience, but many of the people I worked with weren’t serious about their practice. It was a beachside community where people were more focused on how good they looked. Inwardly, I felt I could be of greater service in a community where I knew people were seeking true healing. Also, I knew that meditation had the potential to profoundly help cancer patients their own recovery. When I first started working in the cancer community in Michigan, I had to put myself in the shoes of the people I was serving. I imagined what real life was like for a cancer patient or survivor. What were their daily struggles? What was going through their mind? What was treatment like if they had responsibilities and family to care for? Soon after I started teaching, I realized the insurmountable amount of stress, uncertainty and physical pain our cancer patients experienced. Oftentimes I witnessed this in a class where it wasn’t uncommon for a student to break down sobbing in the middle of practice. This experience informed me in developing meditations that eventually helped everyday people as well as cancer patients in their emotional and physical healing. It inspired me to develop a course called, “Deep Healing” for people suffering from chronic stress, pain, and illness. In the LIBERATE course, we learn how to develop our own sitting practice. It’s from that place that we learn how to craft and share our own guided meditations. Much of the work we cover is centered on healing and how to offer healing through meditation. This is the unique aspect of our training, the integration of coaching, healing, and meditation. A valuable facet of the LIBERATE training course is that you learn how to develop a guided meditation from start to finish. This instructional video is a brief example of the kind of information you’ll receive throughout the course. Imagine if you even helped one person with meditation. What kind of effect and impact that could possibly make? The truth is, you won’t really know. But you’ll experience a deep satisfaction knowing you’ve truly served someone, even if it was just you who felt calm in creating a meditation. 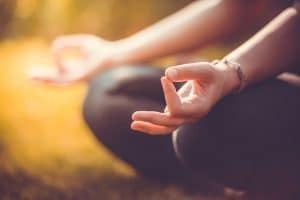 Something a simple as a guided meditation can help you become more centered, soothe someone in their own pain, and indeed save someone’s life. Even if you don’t take a course training, you can still create a guided meditation for someone. It can come simply from your own practice. For me, it started with an inner-pull, along with knowing there were people who could benefit from my help. When you know help is needed, as it is in many places in the world, you may feel the call to show up and share. This is how I started teaching meditation and how you can too.